Each program has been designed by nurses, therapists, and physicians to empower patients to manage their conditions, while working toward improving their outcomes. 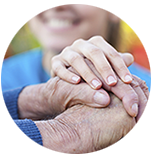 Committed to providing the highest quality home health to the communities we serve. We understand every person is unique. We work with you, your family, and physicians to understand and meet your specific needs. 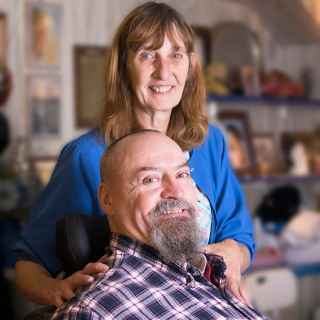 A large range of clinical services, such as nursing and therapy, designed to help our patients recover and rehabilitate where they want to be most: at home. 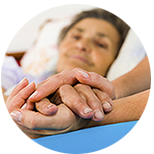 Providing compassionate end-of-life care, enhancing our patient’s quality of life in a safe and comfortable environment. Our pharmacists, nurses, technicians, and specialists provide quality care for our patient’s home infusion (I.V.) and nutritional therapy needs, in the comfort of their own homes. Providing expertise in respiratory therapy, sleep services and products needed to aid in specialized treatment for every patient. We also offer medical transportation for patients to and from hospitals or other medical facilities in the state of Ohio and Kentucky. 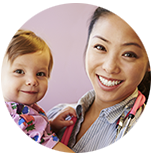 CHI Health at Home serves as the national home care provider for Catholic Health Initiatives. We’ve spent the last 40 years developing family-first values and as a faith-based organization our ministry is at the heart of everything we do. We’ll help you every step of the way. We are passionate about integrating into your life as a loving family member would and becoming active participants in your health. We believe fostering a culture of respect allows us to better care for and understand your specific needs. Our programs raise the bar for what quality care really means. Our ministry’s focus on clinical excellence includes a variety of programs designed to maintain our rigorous standards. We are here anytime you need us and we pride ourselves in supporting you in all aspects of your health care. We’ll work with your physicians and insurance companies to help navigate the complexities of coverage. CHI Health at Home is shaping the future of health care by focusing on the transition from traditional treatment to creating an environment centered on wellness. Having the opportunity to live and fulfill our mission to exceed expectations and provide care the way a family member would, inspires me. of people age 50 and older want to remain in their homes as they age, including receiving treatment at home. percent of persons with disabilities prefer services at home, even in the event they need 24-hour care. Director of Operations for Patient Transport Services, Scott Arthur, has been appointed to the Ohio State Board of Emergency Medical, Fire, and Transportation Services. Dignity Health and Catholic Health Initiatives are combining to form a new Catholic health system focused on creating healthier communities. CHI Health at Home, one of the largest providers of home-based services through the country, has expanded its operations to focus on Population Health, seeking to improve the outcomes of all patients while improving resources for the entire health care industry. CHI Health at Home announced 19 locations have been named 2016 HomeCare Elite™, a recognition of the top-performing home health agencies in the United States. CHI Health at Home announced today 16 locations have been named 2015 HomeCare Elite™, a recognition of the top-performing home health agencies in the United States. Consolidated Health Services, overseeing the operations for home-based health services throughout the Tri-State and across the country, joined Catholic Health Initiatives (CHI) to serve as CHI’s national home health provider in 2010. CHI Health at Home, one of the largest providers of home-based services through the country, is pleased to announce Trisha Crissman joined the organization as our new Vice President, Operations/Chief Operating Officer for home care and hospice on Monday, February 9th. Members of Southeastern Home Care staff and family participated in this year’s Pumpkin Festival on Saturday, October 4th. St. Elizabeth-ANC Home Care has changed its name to St. Elizabeth Home Care. St. Elizabeth Home Care remains a joint venture between St. Elizabeth Healthcare and American Nursing Care, a member of Catholic Health Initiatives, and remains an independent entity. CHI St. Vincent Health at Home in Little Rock and Morrilton, Ark. Petit Jean Home Care in Morrilton, AR and Visiting Nurse Association of Arkansas in Little Rock, AR will change their names to CHI St. Vincent Health at Home. On August 1, 2015, Memorial Home Health changed its names to CHI Memorial Health at Home. As part of the CHI Memorial family, this alignment will create a stronger, more unified structure as we continue to care for patients and build healthier communities throughout the state of Tennessee. Our extensive partner network has enabled us to lower readmission rates, increase and improve patient satisfaction, and provide a cost savings through our preventative home-based services.